First of all I LOOOVE this new Sweet Pea lotion by Gerber. It smells like a lovely cross between soft flowers and cotton candy. Not too floral and not too sugary. Just perfect! Now it's obviously meant for a baby, but I have to admit lathering myself up with it nightly before bed. The scent is just heavenly and with all the vitamins and aloe in it, it leaves my skin feeling as smooth as a ... well, you know. 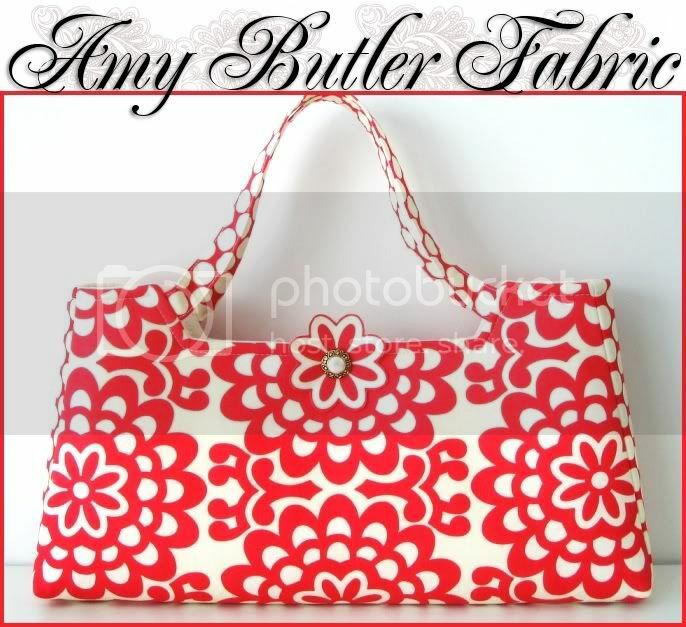 Next, from designer sweetpea-totes on ebay, comes this FABULOUS bag made with Amy Butler fabric. I think I salivated on my keyboard when I opened this auction. YUMMY!!! And if you hadn't noticed, I'm loving unique tees and onesies for my baby. He's one well dressed little dude. ;-) This Sweet Pea onesie by etsy designer roslynscloset just might be next on my 'to buy' list. How SWEET!! I love that bag design and the sweet pea shirt is too cute. That purse is gorveous. I love the shape and the bright color and pattern. Wow. 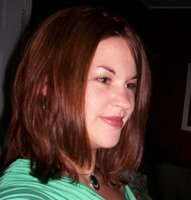 And that purse, wow, that is a hottie mama bag! !